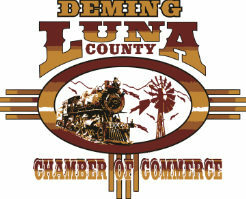 The Deming-Luna County Chamber of Commerce was founded in March 1910. 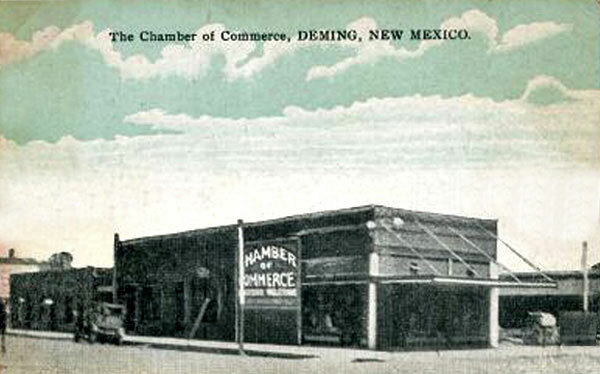 The purpose of the Chamber then, as well as today, is to support the economic development of the area. As a non-profit organization, (501c6), the Chamber is committed to improving the quality and economic life in the area. This is accomplished by organizing Hello Thursday Mixers, and host events for Deming. The Chamber is governed by a dedicated Board of Directors who convenes monthly and directs the work of the Chamber and various committees. Our mission is to dedicated to growing and promoting business and organizations, that bring together people, ideas, and community to advocate, educate and support our business organizations. Our board members are local fiduciaries who steer the organization towards a sustainable future by adopting sound, ethical, and legal governance and financial management policies, as well as making sure the nonprofit has adequate resources to advance its mission. Learn more about our current board leadership here.